There are now three arrest warrants out for the man, who allegedly shot a Crawford County deputy during a shootout Saturday evening. They all charge Ricky Eugene Smithey, who's 31, with three counts of aggravated assault. 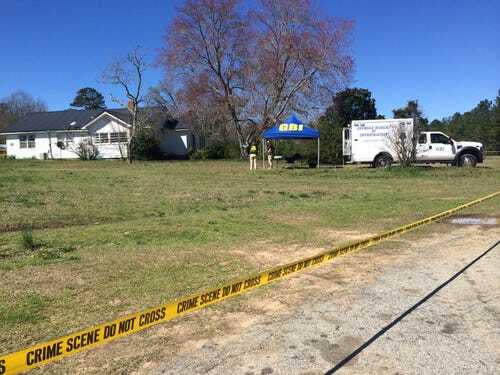 Crawford County Sheriff Lewis Walker tells 13WMAZ those warrants have not been served as of Monday evening, because Smithey remains in the hospital for his injuries. Smithey was shot twice, once in the hip and once in the shoulder. Walker says Captain of Investigations, Johnny Cleveland, who's 60, was shot in the shoulder. Cleveland is a 23-year veteran with the Sheriff's Office. 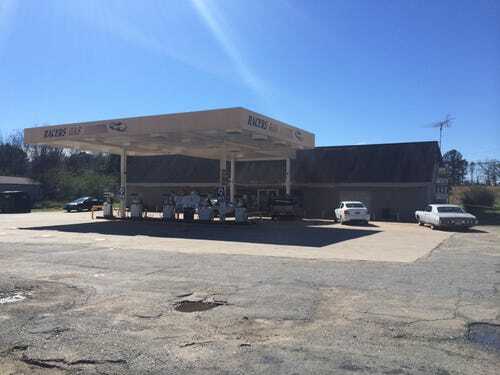 Crawford deputies responded to Racers Gas Station at the corner of Olive Grove Church Road and Hwy 80 at about 7:53 p.m. after a 911 call, according to a GBI news release. GBI Special Agent-In-Charge, J.T. Ricketson, tells 13WMAZ the investigation is taking longer because of the amount of shell casings at the scene. "This was a serious gun battle that took place," Ricketson said. "In my 31 years, I've probably worked 40-50 use of force investigations involving police officers. I have never worked one where the subject has fired as many rounds as were fired in this case." Ricketson says a clerk at the store called 911 after she had an argument with Smithey and feared for her life. That clerk was not working when 13WMAZ stopped by the store on Monday. Ricketson would not comment on whether Smithey was intoxicated or under the influence at the time. He says the deputy who responded to the call reported Smithey was visibly irrational, erratic and agitated. The news release states Smithey took a semi-automatic pistol out of his pocket several times during the confrontation with the deputy. "He fired the first shots at the officers," Ricketson said. "The bullet actually hit the car and fragmented off the car." Sheriff Walker says this is not the first time deputies have encountered Smithey. He says Smithey has been booked before for disorderly conduct. The two officers who responded to Cleveland's call for backup are Lt. Keith Edwards, 63, and Deputy Delane Hill, 43. All deputies are on administrative leave with pay during the GBI's investigation. Follow 13WMAZ's Anita Oh on Facebook at Anita Oh WMAZ and on Twitter @anita_oh.